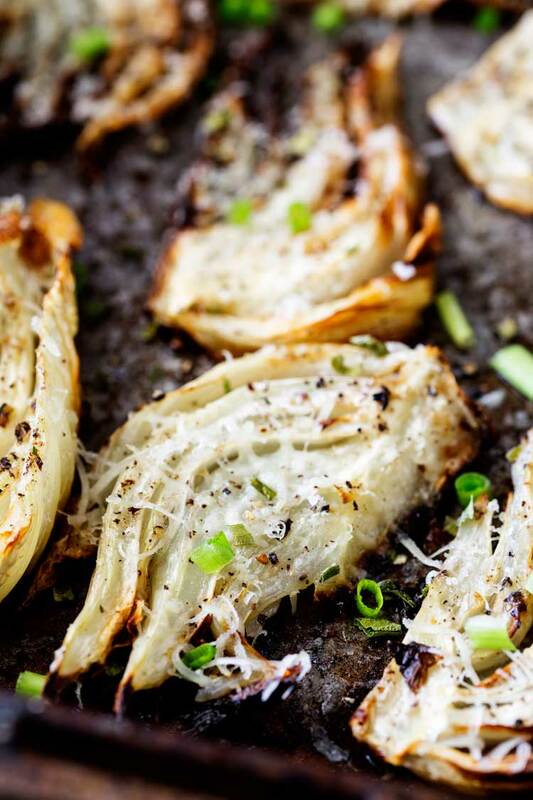 This roasted fennel dish is sweet and mellow and the perfect side for any occasion. 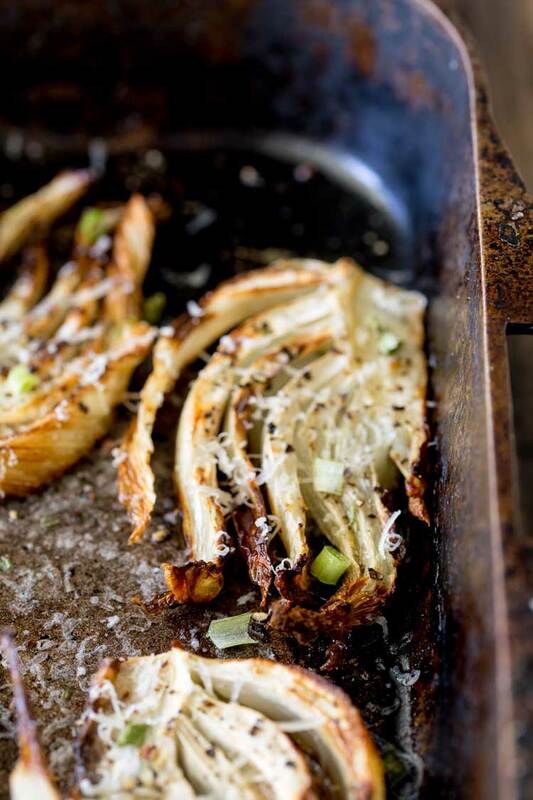 It is simple to make and takes no effort as it roasts happily in the oven. Just before Christmas, I asked the world of Facebook which roasted veg recipe I should share with you next. 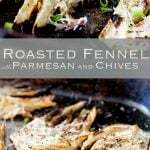 Fennel won the day, so I am sharing my roasted fennel with parmesan, black pepper and chives. This is a great side dish as it really goes with pretty much any meat/fish and it takes care of itself cooking in the oven. Probably not the greatest dish for Western Australia today where temperatures are up at 38ºC. But I cooked this back in Spring, when the weather was a bit temperamental, it has just taken me a while to share it with you….no idea why!!! 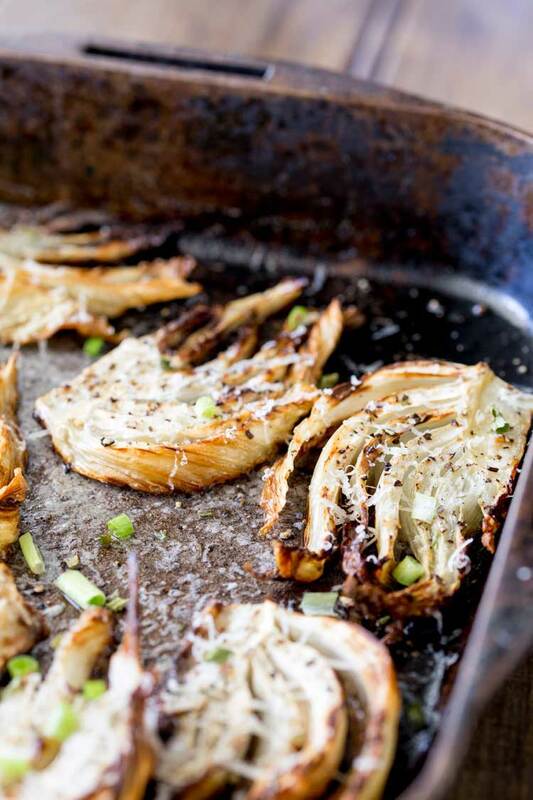 Look at this crispy golden roasted fennel, sweet, tender and totally delicious! The recipe is simple, a bit of seasoning, a bake in the oven and some grated parmesan, a little more baking and a garnish with the fennel fronds and some fresh chives. I like to serve this with a perfectly cooked steak and some soft creamy double butter mashed potato (recipe coming soon!). It is a wonderful and pretty simple meal to prepare, but it just all works so fabulously together. Add a green side salad and you have a great date night dinner. Add an appetiser and you have an easy entertaining dinner! 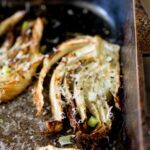 If you love this recipe for Roasted Fennel with Parmesan, Black Pepper and Chives why not pin it for later. If you love food why not subscribe to my newsletter, I will drop you an email every now and then, just to say hi and send you a couple of recipes think you might love, like these Roasted Fennel with Parmesan, Black Pepper and Chives. I wanna come stay at your house this fall so you can cook all the comfort foods for me – I can see this on my table right now, and I’m drooling over the flavors already! Yum! 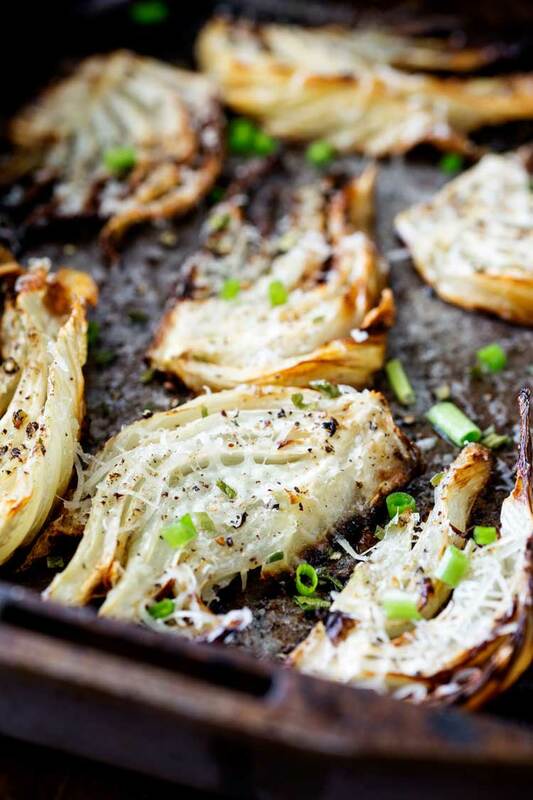 This really is so easy to make and pairs so nicely with many of my favorite main dishes! I loooove fennel! I even eat it raw in salads often too. 🙂 I made this tonight to go with a roast, and it was delicious! The parmesan was a nice touch too. Thank you! I am so happy you enjoyed this, it is one of my favorite side dishes.